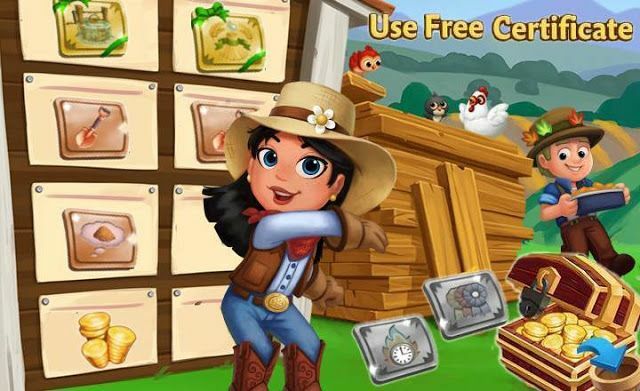 FarmVille2 offers some free Certificates Mix, don't loose the chance to get them for free!!! 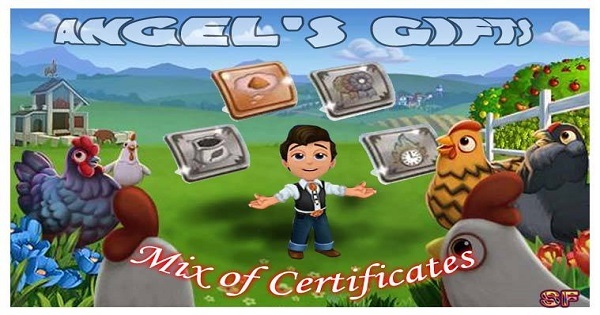 1)The Fertilize All Certificate will instantly fertilize everything on your farm! 2)The Hungry Animal Time Certificate makes your animals hungry for 1 day! 3)The Double Mastery Certificate gives you double mastery points for 1 day! 4)The Power Time Certificate allows you to collect infinite power from your furnaces and windmills for 1 hour! Hi players. We want to gift you with 4 new Certificates, these links are for all so Enjoy them!